In the first of a mini-series called Admin2Consultant, Ben & I will cover many different aspects that someone will need to consider when deciding to move from an Admin to Consultant. Both Ben and I have traversed this very career path, both having come from administrator backgrounds and both now working for consulting partners in the Salesforce space. I am a 3 x Certified Salesforce Consultant working for Cloudreach, a Gold Partner based in London and Ben is a 6 x Certified Salesforce Consultant working for EMPAUA, a Silver partner located in London. In this first post I will cover the core skills you should have, or are on the path to acquiring, before making the move to a consultancy. The good news? All of these skills and more can easily be acquired when in an Admin role, as you are essentially working as an “internal” consultant for your business. We will cover how to pick up these skills later in the series. What is business empathy? In short, it’s the ability to understand a business from their perspective. It’s the ability to spend a day in the life of your average joe at that company, live it, breathe it, speak it, do it. As a Salesforce consultant this is one of the most invaluable attributes you can attain, but not one that’s easily learnt. I think of it as more a state of mind I try to get into when visiting clients. I try to imagine that I’m starting my first day at their company and try to ask all the questions I would need in order to do my learn my new job. Having this skill in your arsenal will help you in your consultancy career no end. Having discussed empathy, this leads me nicely onto the next essential skill for consultancy; the ability to gather requirements. Requirements, requirements, requirements! I cannot stress how important theses are. Without decent requirements, the whole project could fall apart and cascade off. It is imperative that a good consultant has the ability to gather clear, concise and accurate requirements that the client accepts (and signs off on) so the rest of the project can take off smoothly. Learning how to take good requirements could well be a whole blog post in itself and I’ve seen many different methodologies, but the end goal should always be the same; a clear list of requirements (or user stories or whatever) that the client accepts. Communication is key. 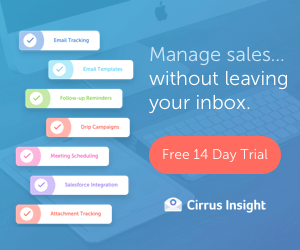 Without strong communication skills, how can you convey how Salesforce’s vast suite of solutions is going to tackle the problems that your clients face? Written communication is fundamental to the role while verbal is what differentiates you from your peers. Having the ability to verbally communicate complex functional and technical requirements across a wide spectrum of job roles and hierarchies makes for a powerful consultant. My one tip here would be to carry yourself confidently; even if you don’t have it, fake it. There’s nothing worse than seeing someone stumble through their words in a boardroom, trust me, I’ve been there and that’s all part of the learning process. Clambering slightly on the back of my previous skill, is the ability to manage expectations effectively and, as you might guess, being able to communicate here is key.There’s nothing more frustrating to a client than for them to expect one thing and then have another delivered. A good consultant builds and manages relationships effectively (there’s your bonus skill guys), part of being able to manage that relationship will be to manage your clients expectations. Remember it’s far better to underpromise and overdeliver than vice-versa (is that a second bonus?!). Now here is where I was originally going to write about Platform knowledge, but as I was compiling this list on the morning train to client site (pre-coffee FYI), I realised that this was a given. You simply cannot be a consultant without having a sound knowledge of the product your are providing advisory for. In a market with an ever increasing number of consultants, certifications, partners, apps and everything else in the Salesforce ecosphere, how do you set yourself apart? How do you stand out from the crowd and get noticed? If I could try and encapsulate the one thing I strive to do, or the one characteristic I try to personify when being a consultant, it would be to add value. If you can take all of your previous experiences, knowledge and intelligence and apply that to your clients needs, you can add value, which ultimately leads to better solutions, better results and happier clients. No Spam. No Rubbish. Just great content from the Salesforce Industry. Congs for this article! I’m SF consultant too and I try to do this in all projects! Brazil is growing in Salesforce carrers, but have to grow more. great article! Could you produce a post on requirements gathering? Hi Chad, great idea. I’ll talk this over with my collaborator. Great article. 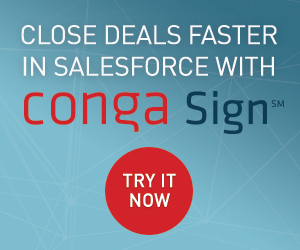 You may have seen the ebook that was written for Dreamforce16. It is compltely complementary to the discussions here about becoming a consultant. This is a great list of skills for Salesforce consultants. I’d like to suggest one more for your list: facilitation skills. Have something to share? Want to tell your story? 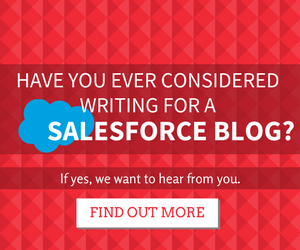 We are always on the hunt for writers that interesting to say about the Salesforce platform and ecosystem. Join our group of 120+ trusted guest posters - Click here to start the conversation.